Here are some surprisingly cool facts about the innovation that keeps us comfortable during these hot summer days and nights. When AC systems were first introduced, the output settings were measured in “Ice Power” – in other words, how many blocks of ice it would take to produce the same amount of cooling power. Now we call them AC units (1). The motivation for the first air conditioner wasn’t comfort. Willis Carrier invented a modern air conditioner in 1902 for a publishing company in New York that was experiencing problems with the ink control and paper expansion and contraction due to varying humidity levels (2). Approximately 88 percent of new single-family homes constructed in America in 2011 included air conditioning. Compare that figure to how only 55 percent of Canadian households had air conditioning in 2013. Sounds like it really is naturally colder in Canada (3). The first fully air conditioned home was built in a mansion in Minneapolis in 1913 by Charles Gates. Sadly, he died before he could ever experience it (4). Air conditioning systems helped coin the term “Summer Blockbuster.” One of the first businesses to utilize air conditioning technology back in the early part of the twentieth century were movie theaters. In the 1930’s, patrons flocked to theaters to enjoy the films – but also to enjoy the cool air during summer months. Marketers took advantage of this trend and saved their big hits for summertime releases. Thus, the term “Summer Blockbuster” became a part of our vocabulary (1). Herbert Hoover was the first President to enjoy air conditioning. He spent $30,000 to install the system in the oval office, just after the start of the Great Depression (4). If you wanted to buy a basic AC unit in the 1940’s, it would cost you approximately $350. Translating that into today’s price based on inflation, you would be paying almost $3,500 (4). Air conditioners do more than just cool the air. They also take humidity out of the air, making the air more comfortable. Don’t set your thermostat fan to the “on” position all day. Rather, choose the “auto” position, where it will blow air only when the cooling system is running. When you leave the fan blowing air all the time, moisture will be blown back into the house and affect your humidity levels (5). Electric fans were the predecessor to contemporary air conditioning. Fans do little to actually cool the air, but they produce a “wind chill effect” by evaporating the sweat from your skin and lowering your body temperature (6). The first car with optional Air Conditioning was introduced in 1939 by the automobile manufacturer Packard. It wasn’t very popular due to its high cost and the fact that the evaporator and blower system took up half the trunk space (3, 7). Air conditioning saves lives. American researchers found that the chance of dying on extremely hot summer days has fallen more than 80 percent over the last 50 years. The research team correlated this to the rise in air conditioning (6). Call the experts at Greater Comfort to learn more about how you can increase comfort in your home – while increasing efficiency, too. We’ve installed, maintained and repaired more than 25,000 HVAC systems in our 28-year history. 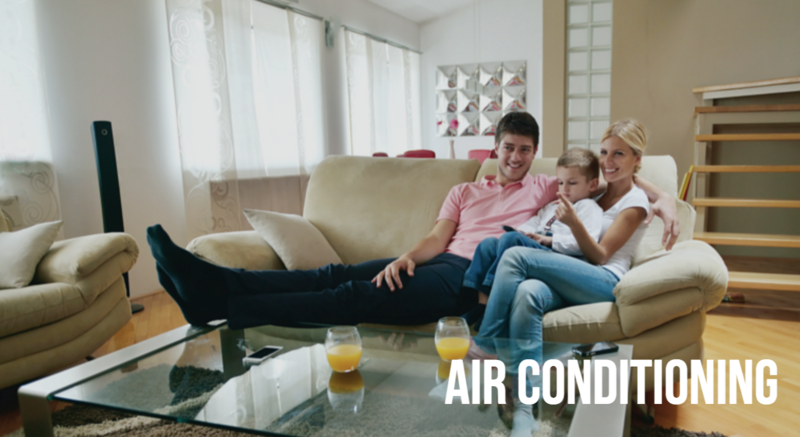 Give the experts at Greater Comfort a call today at 859-491-4915 for all your AC needs.